Really! Xcel Energy has paid less than $1 million in federal income taxes in the 7 years from 2009 through 2015! Further, the Petition states that purposes for which No CapX 2020 was “specifically formed” (fn 22 omitted) was to participate in dockets which are now closed, raising the question of why No CapX 2020 continues to exist. Really, that’s what the judge said! What’s to comment on? 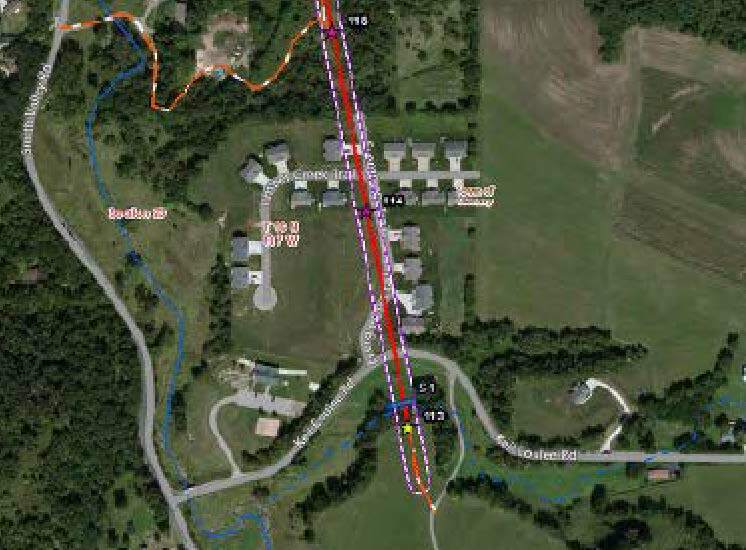 I see two issues that should be sufficient to stop this project in its tracks — the debt load of Dairyland Power Cooperative and the physical setting of the project which too near and right over people’s homes. 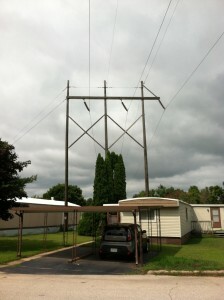 Dairyland Power Cooperative’s Annual Meeting was last week. One purpose of an organization’s Annual Meeting is to discuss its financial status and approve plans going forward. 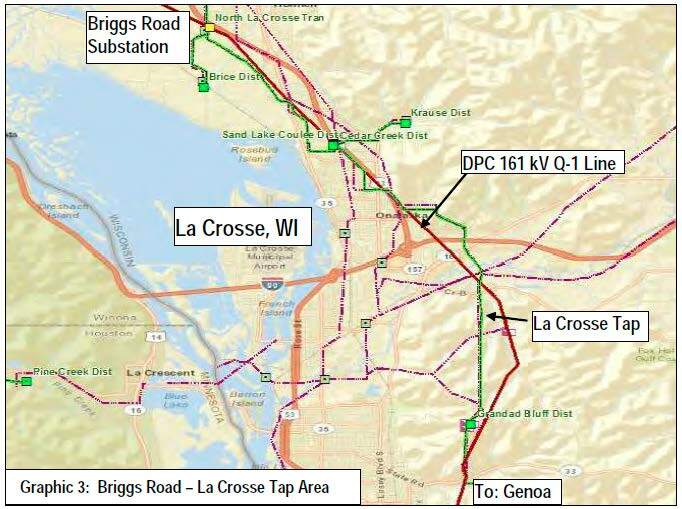 Dairyland depends on federal USDA/RUS loans to pay for its transmission expansion, such as the Q-1 transmission upgrades, including Marshland-Briggs Road and now the stretch from Briggs Road to North La Crosse south of I-90. 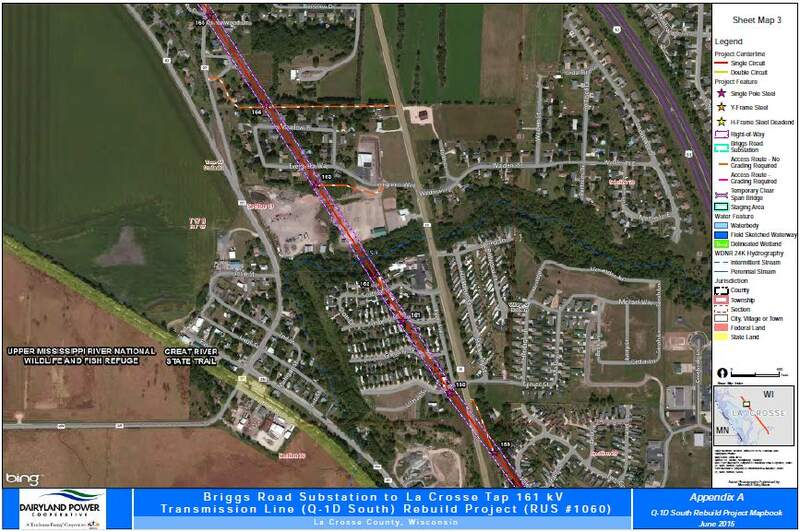 Another USDA/RUS loan paid for Dairyland’s share of the CapX La Crosse line now blighting the bluffs. Dairyland will also be part owner of the MISO Hickory Creek to Cardinal line from Iowa to Madison. That’s a lot of transmission and loans. Dairyland recognized this financial risk and lopsided debt/equity position, and in 2012 sought help from FERC_(DPC_Request4DeclaratoryOrder), requesting a hypothetical capital structure of 35 percent equity and 65 percent debt when its actual capital structure was 16.5 percent equity and 83.5 percent debt, and FERC did grant this relief in an Order for DPC for CapX 2020 (see FERC Docket, go HERE and plug in docket EL13-19-000). 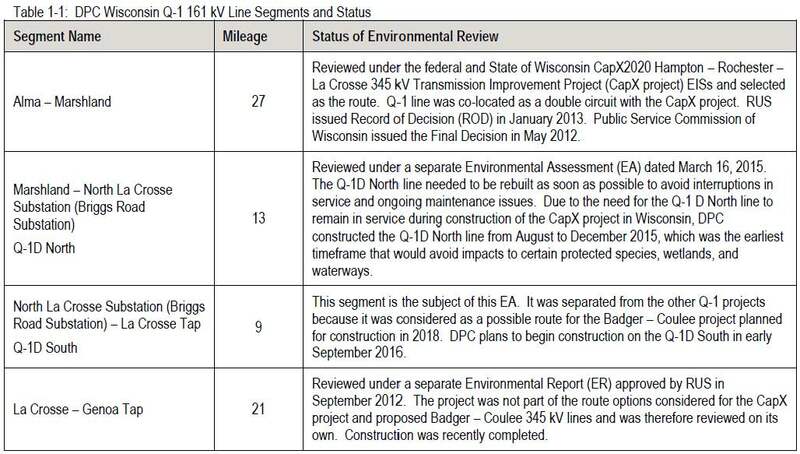 That Order, and the 83.5/16.5% debt/equity ratio was prior to the present Q-1 D South project and the MISO MVP Hickory Creek to Cardinal transmission line. Dairyland requested a “hypothetical” (bogus) debt/equity ratio to preserve its credit rating and enable low cost loans. The true debt level makes DPC a higher risk. Are Dairyland members aware of the 83.5%/16.5 % debt/equity ratio and reliance on loans for major transmission projects? What’s the debt level where new projects are included? This new transmission enables increased power marketing and sales, a private purpose. Is this highly leveraged position for new transmission in the best interests of Cooperative members? 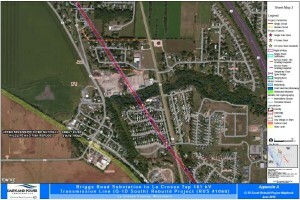 Physical setting of the project — it’s just too close! c. Transmission lines over dwelling units. No utility may construct conductors of supply lines designed to operate at voltages in excess of 35 kV over any portion of a dwelling unit. This provision also applies to line conductors in their wind-displaced position as defined in Rule 234A2. Note: It is the intent under s. SPS 316.225(6) that the public not construct any portion of a dwelling unit under such lines. Note: The term “dwelling unit” has the meaning given in ch. SPS 316, which adopts by reference the definitions in NEC-2008. Note: See s. SPS 316.225(6) Clearance Over Buildings and Other Structures, which refers to ch. PSC 114 regarding clearance of conductors over 600 volts and the prohibition of dwellings under or near overhead lines. I keep seeing #ImWithHer everywhere. Somehow this is the hashtag adopted by Hillary supporters, maybe even promoted by Hillary Clinton herself. 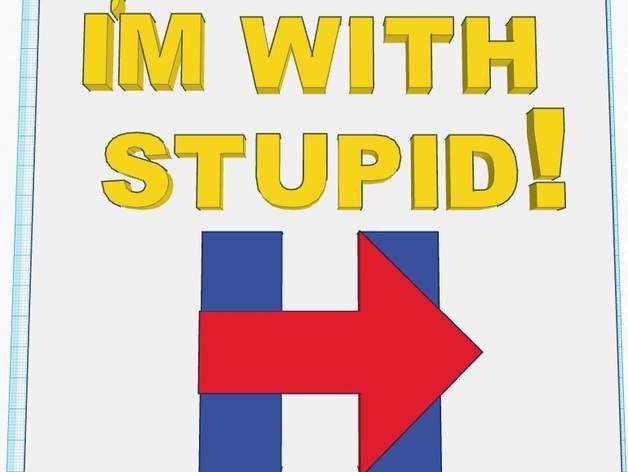 Given the common use of “I’M WITH STUPID” to the extent that “I’m with…” will be invariably not end well for Hillary, why is this being used? 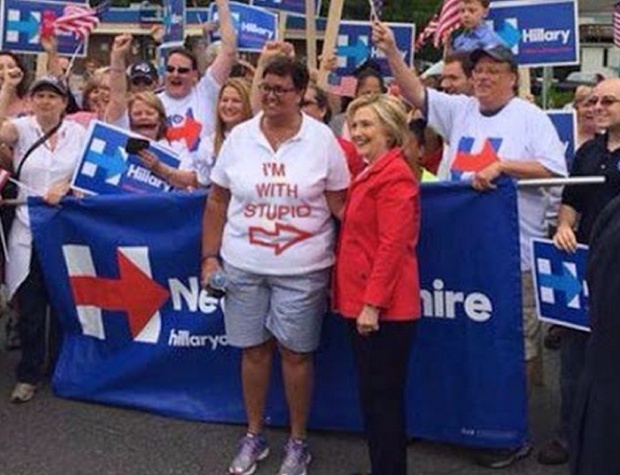 And it also opens her up to such obvious funnin’! 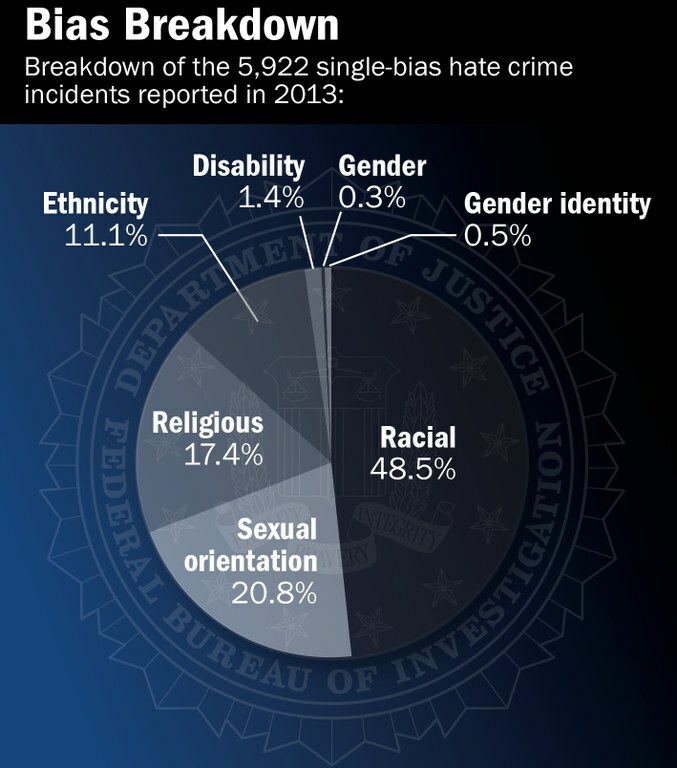 This is the worst hate crime in U.S. history. There’s so much anti-GLBT vitriol, consider the bizarre “Bathroom Brigade Brouhaha” with laws passed and inciting weird incidents of people being tossed out of bathrooms across the country (shouldn’t the concern be about straight male pedophiles? ), particularly where in this Minnesotan’s memory, it’s the Sen. Larry Craigs of the world that demonstrate bathroom issues! Click for larger view. This is from the California Secretary of State site, where they’re tallying the votes as the 2.5 million uncounted votes are counted. Keep an eye on THIS page! And compare with the LATimes CA Primary page, where they are NOT updating. Letter-to-the-Editor sent to LA Times! 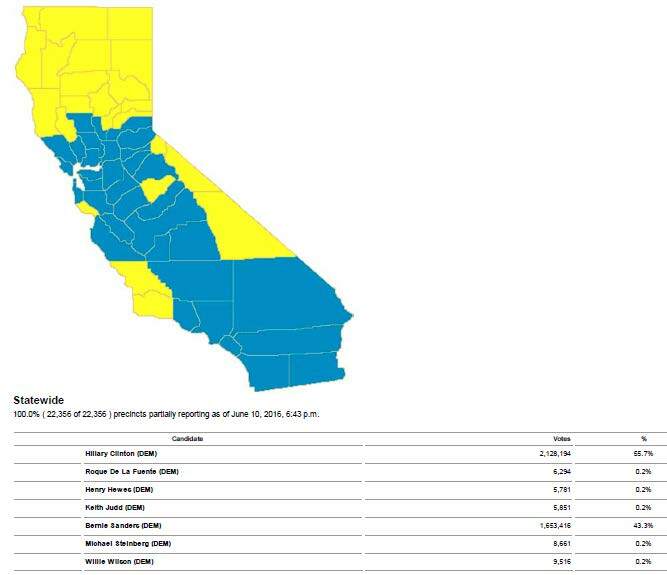 Bernie has picked up THREE COUNTIES — Glenn County up north, and San Luis Obispo and Santa Barbara to the south. This is just the beginning. Makes sense that there are such shrill calls for Bernie to drop out. No. 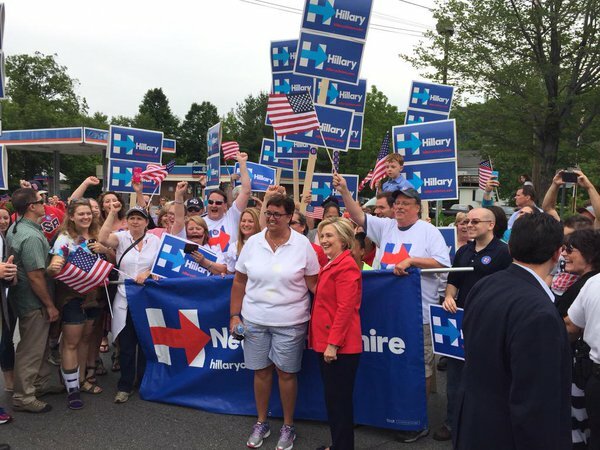 This is a contested nomination, and it is not over until it’s over. And from the counties flipping, with 2.5 million votes to count, it looks like calling a winner is premature. As is so much in this race. Keep at it, California, count those votes!